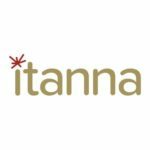 Itanna is a 4 month accelerator programme operating out of our Enterprise Factory in Lagos, Nigeria. We will spend the first few weeks understanding your business, the objectives you’ve set for yourselves during your time with the accelerator, and help you map out effective strategies to achieve your goals. All startups will be given an initial investment of $30,000 at the beginning of their journey. You will have access to our network of mentors and experts, who are primed to advise you and help you solve your business problems. Participants will work with Honeywell Group’s portfolio companies and other enterprises in our network to further develop your products. As a part of the Itanna family, we will continue to be a part of your journey after the accelerator ends; providing you access to resources, our full network including Honeywell Group’s portfolio companies and follow on investment.